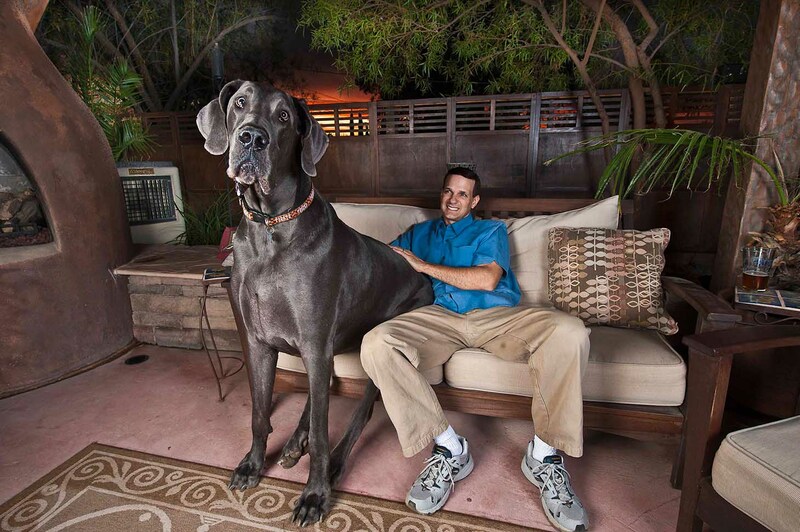 Giant George, the world’s largest dog. 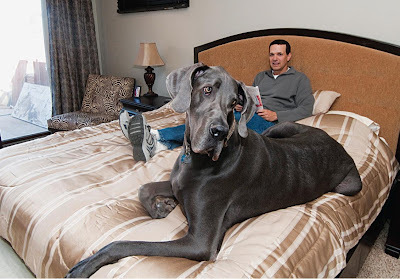 Standing almost four feet tall at the shoulder and seven feet on his hind legs, George eats 180 pounds of food per month and even has his own queen-sized bed and can sit in a chair like a human. 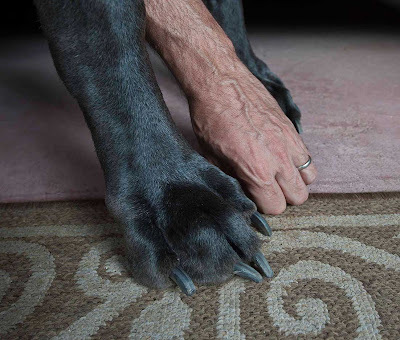 George is 43 inches from paw to shoulder, and 7 feet, three inches from head to tail. 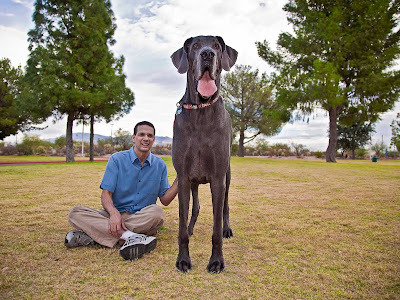 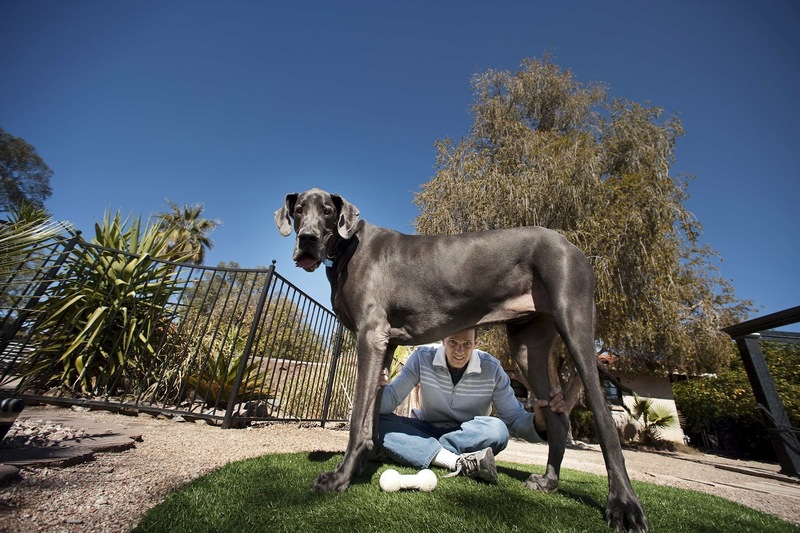 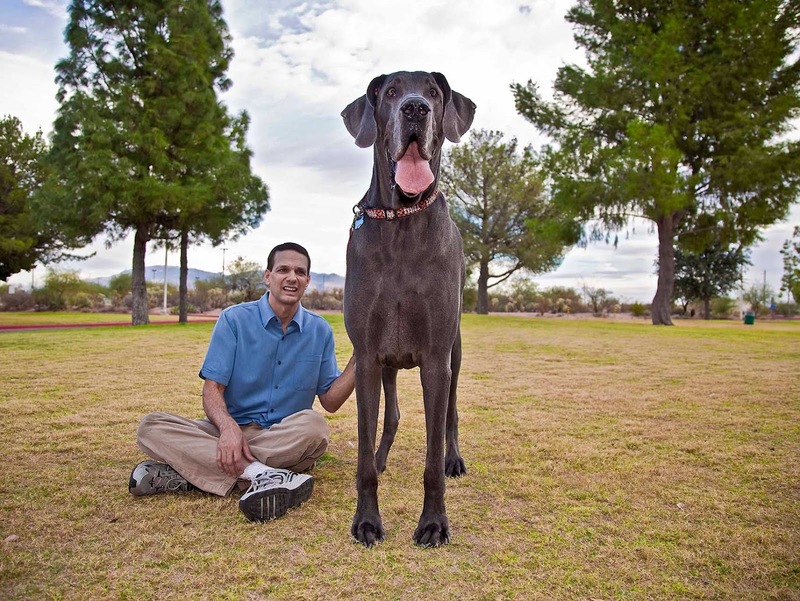 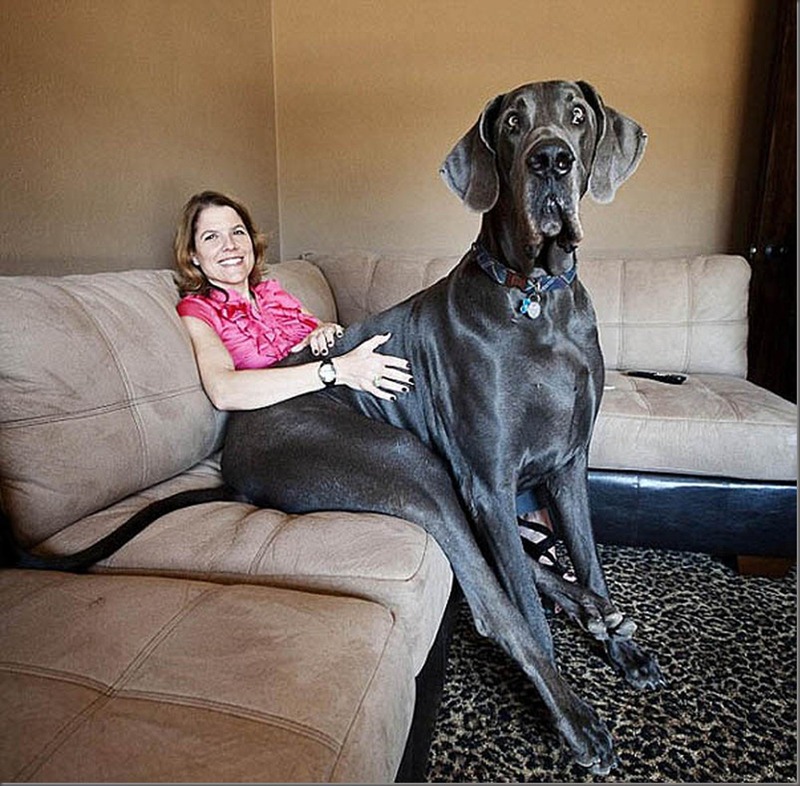 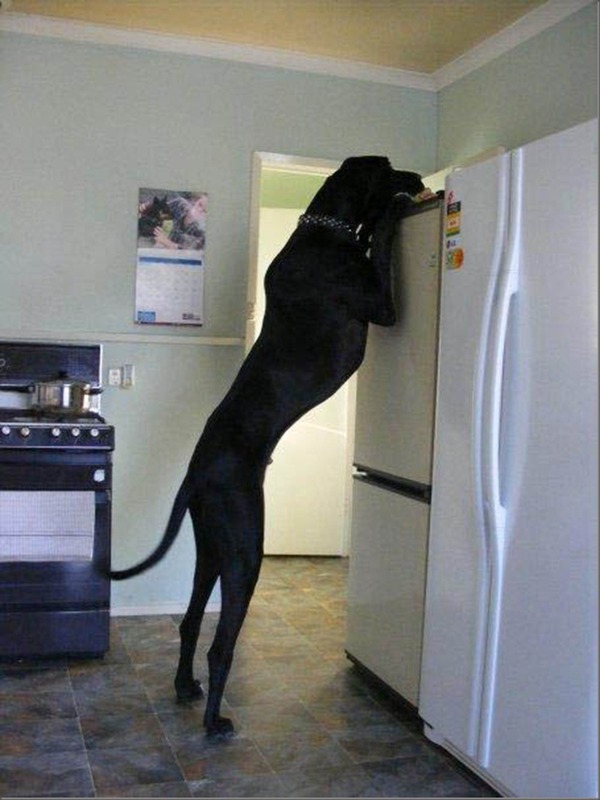 He is a 250-pound blue Great Dane from Arizona. 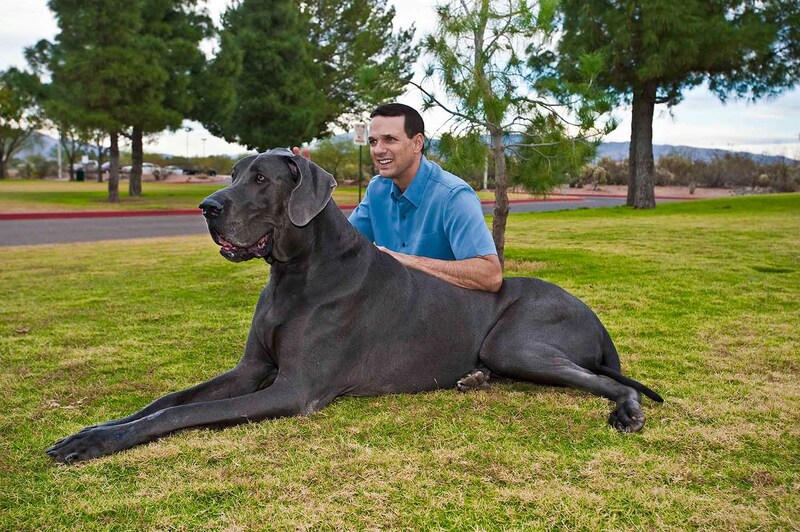 Giant George was crowned world's largest and the Tallest dog by Guinness World Records in February, 2010. 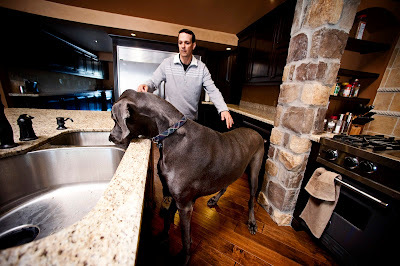 George weighs almost 100 pounds more than the average Great Dane. 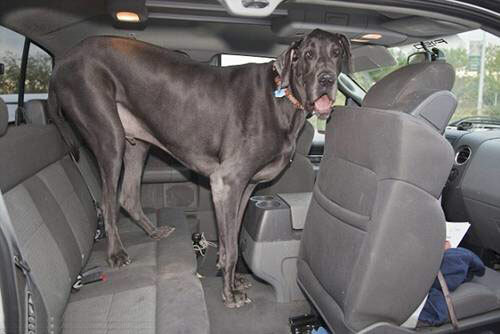 By the time he was two, he was tipping the scales at 252 pounds. 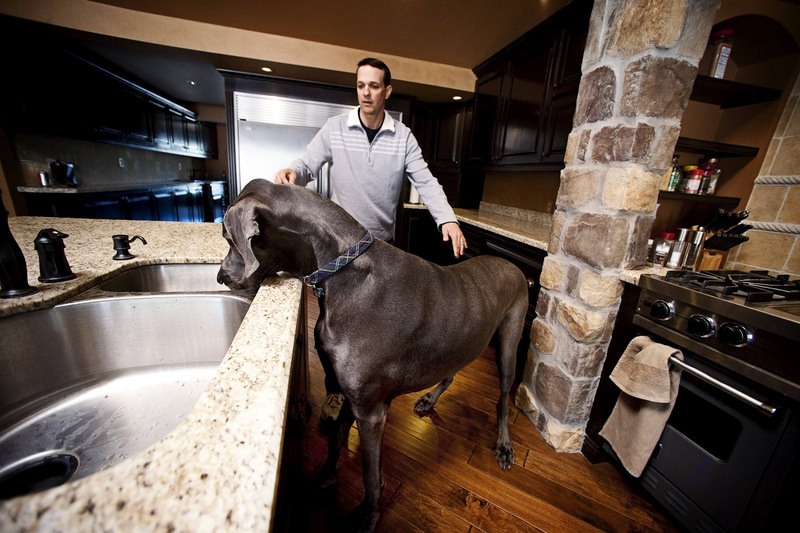 The 4-year-old is owned by David Nasser.